Traveling alone or with family can be a stressful enough activity without the added worry of how to stay safe and healthy during your trip. There are many ways you can make sure you’re prepared to handle just about any mishap traveling can throw at you. Before you go, plan on taking these tips into account. An oldie but a goodie: this post was originally published on 4/23/15. You’ve probably stopped by our library once or twice and noticed that we have very few books on our shelves compared to most libraries. The actual number is somewhere around 1,100, but out of those, 737 are allowed to be checked out; the rest are meant to exclusively serve the medical curriculum that is taught at the College. Being a specialized library, we realize that most of the books available for you to checkout probably wouldn’t be considered light reading. Should you find yourself interested in reading up on medical procedures, terms, or techniques, we’d be happy to point you in the correct direction – just stop by the front desk and ask one of our staff to help you find what you’re looking for on our shelves! For all our other avid readers who don’t quite fancy brushing up on their medical knowledge, we’d like to introduce you to (or remind you about) our Interlibrary Loan service! Tech Talk Thursday: Whatever happened to Google Glass? Oh hey, remember this thing? Perhaps not, the device didn’t have a long life in the consumer world. This is the Google Glass. A few years back as wearable technology was enjoying massive popularity, Google developed this headset that would allow users to access the internet and do things like check email and make phone calls all with a simple voice command: “Ok Glass”. Released originally as a beta product, a buzzing community of “Glass Explorers” was created to play with and test the device, developing apps and exploring ways in which the Glass could be useful. For various reasons (including the limited way in which one could get their hands on a pair), the device didn’t exactly take off, and the program fizzled out (fun fact – our very first Tech Talk Thursday blog post discussed the end of the Glass Explorers program if you’d like to read a little more). But what’s become of the Glass since then? If you’ve ever found yourself wandering down the aisles of your local grocery store staring pensively at the rows upon rows of vitamins, natural remedies and supplements, you’re not alone. It can be difficult to determine if any of these products can safely support your health and wellness goals. To wrap up this month’s focus on nutrition, we’d like to introduce you to a database you may not know much about which can help you tackle those tough questions. Here are some ways the Natural Medicines database can help you out, and why you should add it to your arsenal of reliable health resources. Back in September of 2016, a pretty neat bit of history was made in the library world. The Library of Congress swore in its first ever African American into the role of Librarian of Congress. The appointment was significant for a few other reasons as well; to understand why, you’ll need a quick history lesson! An oldie but a goodie: this post was originally published on February 18th, 2016. Pursuing a career in medicine can be a challenging experience for anyone. For many aspiring Black doctors, these challenges were often associated with discrimination and a lack of opportunities to prove their worth, particularly in the early 19th and 20th centuries. 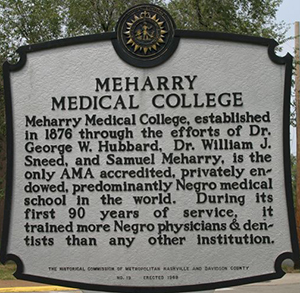 Many barriers had to be torn down and doors opened before access to a quality medical education could be achieved for people of color. To celebrate Black History Month, we’re sharing with you a brief history of how these opportunities were built. Oscar nominations are out – did your favorite film from last year receive one? One you may have seen (particularly if you have children) was the Disney animated musical, Moana. You might be interested to know that you can learn a little more about some of the concepts from the film by visiting the library to explore our latest exhibit on loan from the National Library of Medicine, A Voyage to Health: An exhibition about the revival of Native Hawaiian Traditions. An oldie but a goodie: this post was originally posted on January 28th, 2016. At the beginning of the month, we introduced you to a few apps to help you keep your resolutions for the new year within reach. However, if you’ve fallen off of the resolution bandwagon, don’t feel discouraged (we’ve all been there)! Even with the best tools and the best intentions, we tend to get busy and distracted as the new year kicks into gear. However, it’s never too late to try again, and we’ve got a few tips that may help your next round of goal-setting end in success. Let’s examine how to make the SMART goal setting process work in your favor. Diabetes is a disease that affects millions of Americans. Whether you or someone you know suffers from diabetes in some capacity, our Health Sciences Library can provide you with access to top-notch resources to help you get educated about the disease and learn how to manage it. We’ll get you started with a few of our favorite places to start looking for patient information. MedlinePlus is a resource produced by the National Library of Medicine, the world’s largest medical library. You can rest assured that the information found within the site is reliable, up-to-date, and free. Each health topic typically includes a landing page which acts as a portal to more in-depth information. The diabetes page contains links to videos and tutorials, as well as patient handouts in multiple languages, among other quality resources. Perhaps most useful of all is that all information is presented in easy-to-understand language, so you don’t need to be an MD to make sense of the facts. The CDC houses information on a number of health topics. This month features a great page on managing diabetes, including tips for preventing complications and getting into healthy habits. The main diabetes page can direct you to a bevy of other useful resources, too. Healthfinder.gov is another safe government resource for health information. It is simple to navigate – use the Health Topics A – Z to search for the condition you are interested in. Need any additional guidance or in-depth help? Our staff are happy to point you in the right direction. Stop by the library anytime between 8am and 5pm Monday – Friday to talk with one of us. While we’re certainly no substitute for the medical advice of your doctor, we’re experts at finding reliable health information that can help you as you both work together to make responsible decisions for your health. Fun (and informative) things for Staff at the HSL!